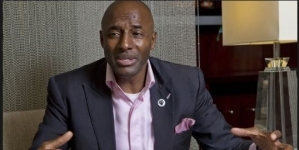 Nigerian clubs begin their campaign for continental glory this Wednesday, a day after some of their counterparts across Africa would have kicked off the 2018/19 edition of CAF Champions League and Confederation Cup. In order to align with international football calendar, CAF will run its season from August to May next year. The transitional schedule therefore runs from this month and ends next May. On the same day, Federation Cup champions Enugu Rangers will host Ethiopia’s Defence Force in the CAF Confederation Cup. Lobi Stars will be playing in Africa for the fifth time in their 37 years existence. It was not until 2000 that the Makurdi-based side first featured in a CAF competition. They were eliminated in that year’s group stage of the CAF Champions League after finishing third among Ghana’s Heart of Oaks, Al-Ahly of Egypt and ASC Jeanne d’Arc of Senegal. 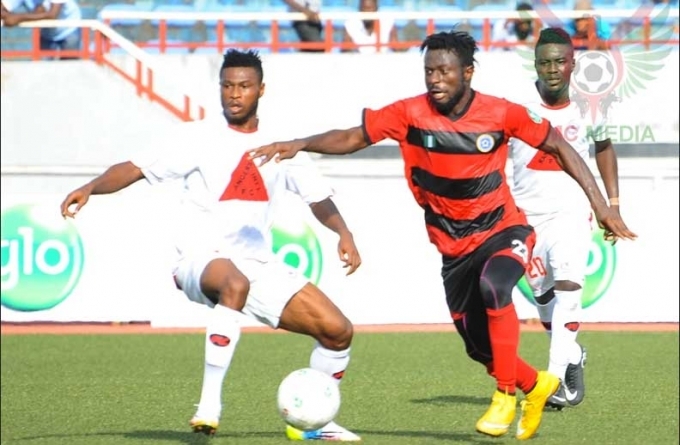 Four years later, Lobi Stars were knocked out at the second round of CAF Confederation Cup, just as they did in 2006 and even performed worse in 2012 with a first round elimination. Founded in 2011, UMS de Loum won their first Cameroon Cup three years ago by beating former CAF Champions League winners Coton Sport, three-time African Cup of Champions Clubs title holders Canon Sportif de Yaoundé and Union Doula on their way to the final where they defeated Panthère du Ndé 2–0. The Cameroonian side lost in the preliminary round of CAF Champions League last year and the first round of the Confederation Cup in 2016. Runners-up behind Coton Sport in the Cameroon top flight concluded last July, UMS de Loum have not had a competitive match since then, while Lobi Stars featured in the Nigerian SuperCup match as recent as last Tuesday beating Federation Cup champions Rangers 1-0 at the Stephen Keshi Stadium in Asaba. In that SuperCup fixture, Lobi Stars tried out new players including Lobi handed starts to new signings Sikiru Alimi (ex-Sunshine Stars), Alex Aghahowa (formerly El-Kanemi Warriors), Chile Azu (from Go Round FC) and Samuel Mathias (El-Kanemi Warriors). AS Vita Club of DR Congo await the winners of Lobi Stars/UMS de Loum pair in the first round. For Rangers, they were in continental competition as recent as last year but could not go beyond the first round of the CAF Champions League. 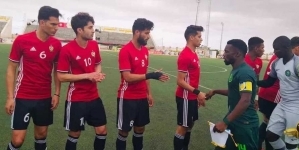 The Flying Antelopes managed to beat Algeria’s JS Saoura on away goal rule at the preliminary stage but lost 3-5 aggregate to Zamalek of Egypt in the next round. Relegated to the Confederation Cup thereafter, Rangers still couldn’t go far as Zambia’s ZESCO United triumphed 5-2 aggregate in the playoff round. Rangers only hurrah in Africa was winning the CAF Cup Winners Cup in 1977. Ten appearances in the CAF Champions League (including in its precursor, the African Cup of Champions Clubs), four in the Confederation Cup and two in the CAF Cup have seen Rangers gone only as far as the final in 1975 in the African Cup of Champions Clubs. In the off-season, Rangers acquired new players including Michael Uchebo, who was in the Super Eagles squad to the 2014 FIFA World Cup in Brazil. He re-joined the club after a few years unattached. 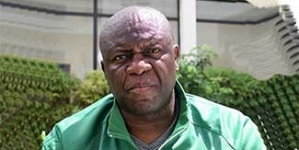 Gbenga Ogunbote, a veteran Nigerian coach, lead Rangers who are fired up to win. “We don’t have any option but to win on Wednesday against Defence FC,” goalkeeper Femi Thomas agrees. The Ethiopian club featured in last year’s CAF Confederation Cup but got knocked out at the preliminary round. Before then, they had travelled as far as the quarterfinals of the 1976 CAF Cup Winners’ Cup. They also got eliminated at the first round in the 1977 edition of the African Cup of Champions Clubs and CAF Confederation Cup in 2007. Also known as Mekelakeya, Defence Force’s last competitive match was on November 4 when they beat Debub Police 2-1 away in the first match of the 2018/19 Ethiopian Premier League season. Whoever win between Rangers and their Ethiopian opposition will face either Algeria’s USM Bel Abbès or LISCR (Liberia) in the first round. Thanks for information but please try to always provide correct information hence verify your news very well before publishing.